We're not big magazine readers in my household, but a certain type of floppy literature certainly hangs around my apartment quite a bit - comics. Tim is a huge comic book fan, and I have to say, it's totally adorable watching him read them on the couch. The old style artwork is so fun and makes me super nostalgic (even though I never read comics). 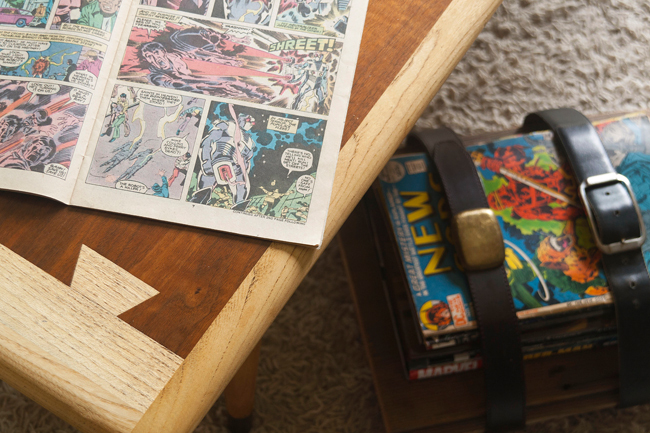 I wanted to make some kind of comic book storage that was just as special as they were. This is what I came up with! The biggest change was adding castors to the bottom. Now we can roll this little guy under the coffee table when Tim's not using him. 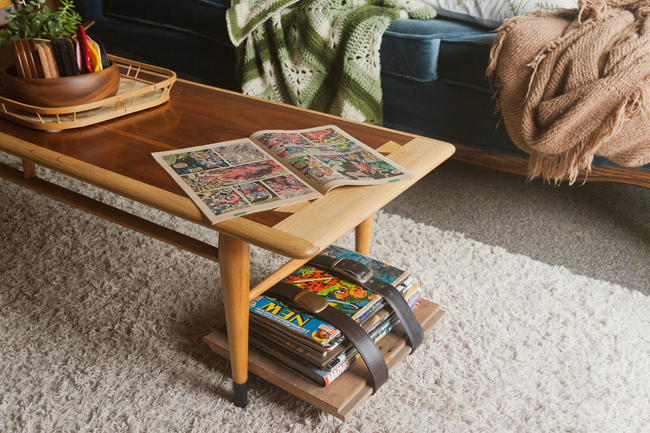 With such a small apartment, every space is useable and under the coffee table is no exception! 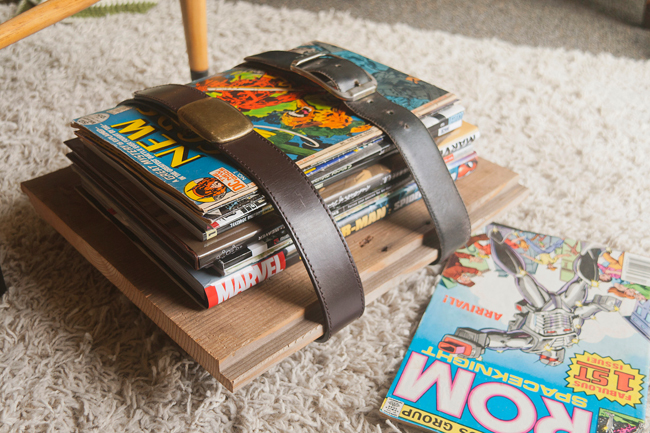 The base is made from leftover reclaimed wood from my unfinished ikea hack project and the belts were thrifted. To be 100% honest, I'm not totally convinced I love the mixed metals of the belt buckles, but I'm going to live with it for a bit and see. See? Fits right under there! 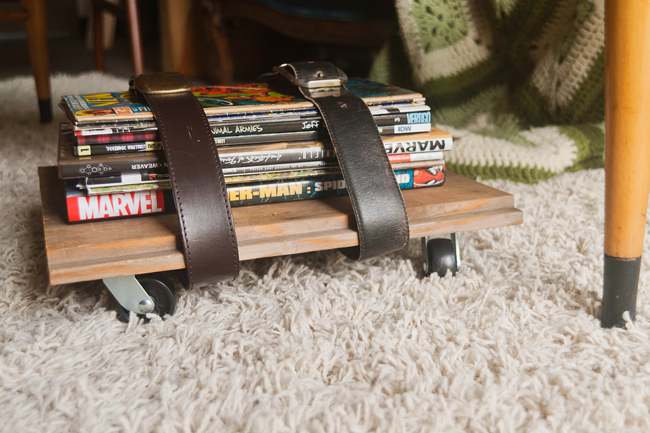 The project took me a total of about an hour and cost maybe $10 for the belts and castors. Everything else was just sitting in my apartment - win! 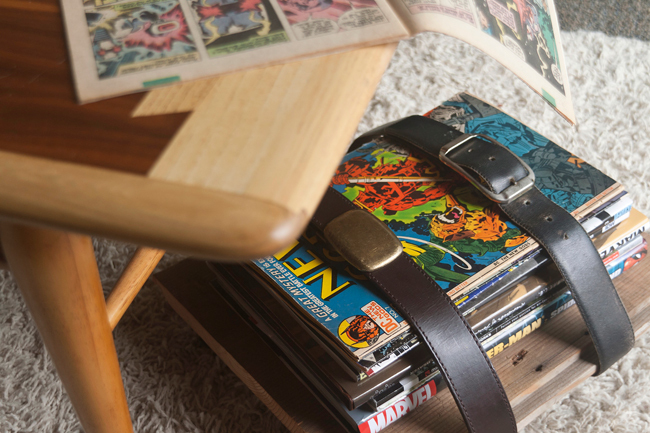 Do you have a comic reader in your house? Is it you!? 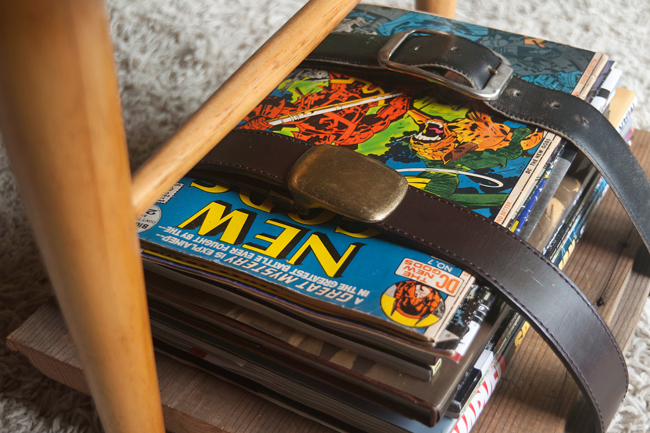 How do you store your books, magazines, and comics?